When filing for Chapter 7 bankruptcy, one of the huge benefits that people can realize is successfully getting some of their debts discharged. In other words, when people file for Chapter 7, they can wipe away certain debt obligations, allowing them to achieve a financial fresh start. Not all debts can be discharged through a bankruptcy case. When people have non-dischargeable debts, they will still be responsible for repaying these debts after their bankruptcy case has been finalized. 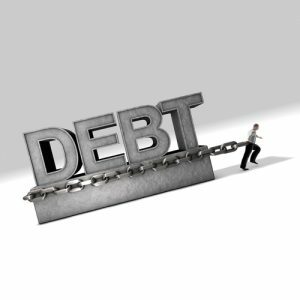 In this blog series, we will discuss some important facts that people should realize when it comes to non-dischargeable debt and bankruptcy. If you are ready to receive more specific information about your case, contact Denver Bankruptcy Lawyer Arthur Lindquist-Kleissler. He can evaluate your case and give you professional advice regarding your best options for debt relief. Student loan debt and some tax debt are among the non-dischargeable debt in bankruptcy cases. Contact us for more info about what to expect from bankruptcy. Debts owed to government entities (when these debts have arisen out of specific fines or penalties a person has incurred due to some violation). There may be some other types of debts that will not be discharged through bankruptcy, so it’s best to consult with an experienced bankruptcy lawyer to find out what debts you will still owe after filing for bankruptcy. Being aware of your financial obligations after a bankruptcy case can help you decide whether bankruptcy – or an alternative to bankruptcy – may be your best option. Make sure to check out the upcoming second and third parts of this blog for our continued discussion of non-dischargeable debts and bankruptcy. For more than 34 years, Mr. Lindquist-Kleissler and the other legal professionals at Lindquist-Kleissler & Company, LLC have been providing both individuals and businesses with the highest quality of debt relief legal services. From simple to complex bankruptcy cases, Mr. Lindquist-Kleissler can always be trusted to maximize utilization of Colorado Bankruptcy Law to effectively guide his clients through bankruptcy and help them achieve the best possible outcomes to their cases.